Someone who has lost the mental capacity to manage their finances may well hold assets – such as investments, property and shares – in different parts of the world. If you’re looking after their affairs, it can be complicated and difficult to get financial institutions in other countries to recognise a UK Power of Attorney or Deputy order. Our specialist Court of Protection solicitors can help you by co-ordinating and dealing with these assets. In the same way, if the person lives abroad but has assets in the United Kingdom, we can help you obtain the suitable authority to deal with banks, pension providers and other financial and legal institutions. We have experience in of doing this for clients around the world including New Zealand, the USA, France, Eire, India and Spain. We are experts in our field – our dedicated team of specialists understand the Court of Protection inside out and can provide pragmatic and effective solutions. We are responsive – we won’t leave you waiting for an answer. We respond to requests within 24 hours and most payments are made the same day. We are supportive and inclusive – we won’t cut you out. We will always consult you on key decisions and you can be involved in the process as much, or a little, as you like. We are efficient and cost effective – we will always look for ways to keep costs down. We do this by working efficiently and by using most appropriate resource for the task. Our specialist team of Court of Protection solicitors can help you manage the affairs of a vulnerable person at home and abroad. Contact us for a free and confidential initial consultation. Offices in London, Manchester, Bristol, Cardiff, Birmingham, Southampton and Taunton. Call us now on 0800 652 8025 or contact us online. 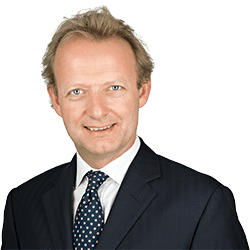 Anthony Fairweather is a partner in Clarke Willmott solicitors' private client team specialising in Court of Protection and elderly care advice. 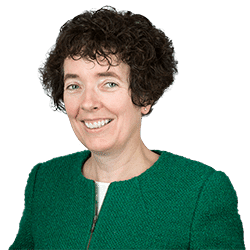 Anne Minihane is a partner in Clarke Willmott solicitors’ Bristol private capital team and a panel deputy for the Court of Protection. Jess Flanagan is an Associate Solicitor in Clarke Willmott solicitors' Bristol Private Capital team and specialises in Welfare and Community Care matters.